We've made a change to the maximum disk storage allowance for Atlassian Cloud instances with more than 500 users. These instances will now have an overall maximum storage allowance of 100GB, with maximum storage for Confluence being 50GB and 25GB for Bamboo (maximum storage for JIRA is the same as the overall maximum). Take a look at the Atlassian Cloud storage policy for more information. In this release, we're re-enabling the ability to create projects that share a configuration with an existing project, and we're also re-enabling the change to attaching images. 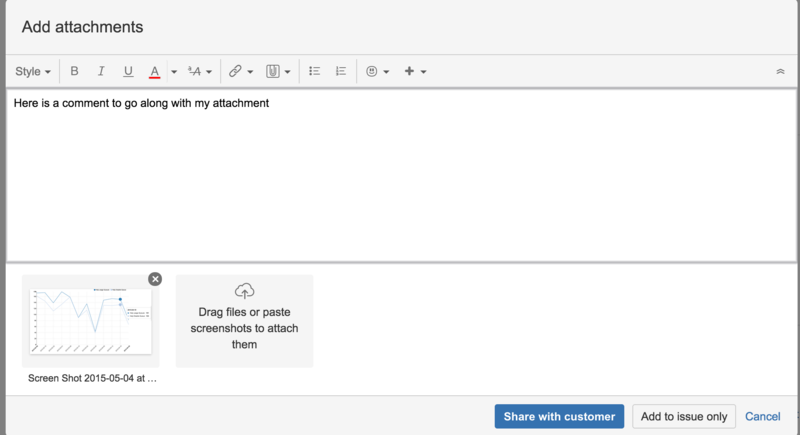 When you paste screenshots to JIRA issues, you will again see the Attach Screenshot dialog that allows you to rename the image. You can read all the details about the create projects and attachment features in the original announcement: 23 August 2015 to 29 August 2015. We've also been working on expanding our range of importers, and now you can import data from both Asana and Trello directly to your JIRA Cloud instance. And here's the list of improvements and fixes we're releasing as part of the JIRA 7.0-OD-05 release. Check out the additional bug fixes here.